So after five weeks of being on a spending ban, I went loco in Spain last week! 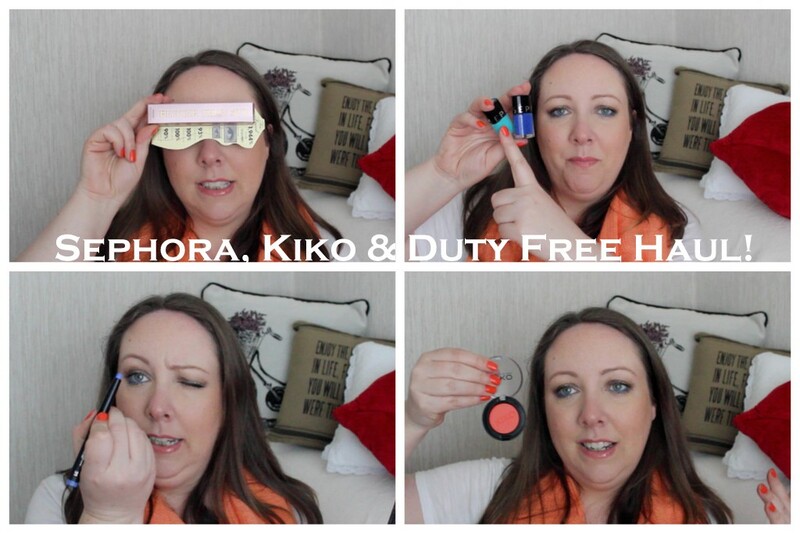 It started in the duty free before hitting Sephora and Kiko, before ending things at El Corte Ingles and the spanish duty free. I love everything I bought and can't wait to get stuck in and start reviewing it all! You'll be happy to hear we signed up for a spanish Sephora rewards card and I fully intend on making good use of it! Joanne's back in Spain in September so no doubt I'll have a grand list for her, but for now, the spending ban is back on baby and after watching the video, you'll see why... It's 19 minutes of me talking about makeup and it's been a while since I did a big old haul video! So take a load off and see how many coral things I picked up. (A lot). Joanne and I might film a clothing and accessories haul video this weekend because we got some lovely jewellery, scarves and clothes, so if it's something you'd be interested in, just let us know.